Home Ed Days for families to explore the museum and learn together. Sign up to our Home Educators mailing list to receive updates about more upcoming Home Ed Days. On Home Ed Days we don’t take school bookings. Activities are most suitable for particular age groups as indicated. Older and younger siblings are welcome to attend. Bear in mind the content of workshops and activities may not be as engaging for them. Arrive at 10.30 to make the most of what’s on offer. Our staff will give each child a Postal Pass to access activities. At the latest, arrive in The Postal Museum Welcome Space at least 15 minutes before your Mail Rail ride to collect your wrist band. Select a Mail Rail time when you book. There are two hourly slots at 11.00 and 13.00. Three trains run per hour and the ride lasts 15 minutes. Choose your workshop time and Sorted! session on the day. Other activities are drop-in. Answers to frequently asked questions to plan your visit and our terms and conditions. Home Ed days have a capacity and must be booked in advance. On the day you will be asked to pay general admission prices. Mail Rail and Sorted! tickets will be subject to availability. You will not receive a wrist band or Postal Pass to access the workshops and drop-in activities. Can we just visit the Exhibitions and activities? Home Ed Day tickets offer discounts to adult and child prices. The cost is the same for people who chose not to ride the train unless you are a registered carer. Disabled children and adults can book a free companion ticket for one person. A member of our family is disabled - is there a discount? Disabled adults and children can book a free companion ticket. We want to accommodate as many children as possible. One adult can bring up to four children. Do I need to book a ticket for a baby? Babies under 1 year old can ride Mail Rail on an adult’s lap and do not require a ticket. Children aged 1 year and over require a ticket for Mail Rail and Sorted! Ticket options are above. Can I add extra tickets? Additional tickets can be booked at a later date, provided there is availability for the event. Individuals can book up to 8 tickets. 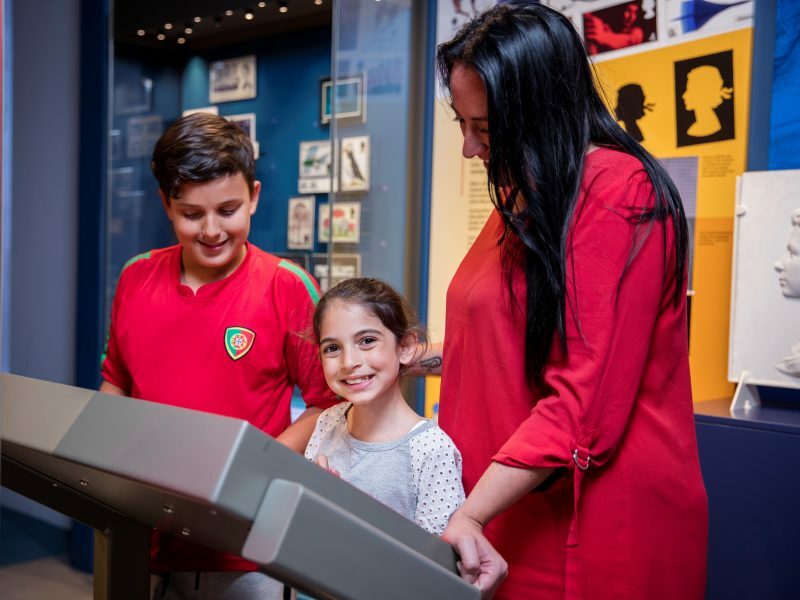 If you wish to book on behalf of a larger group call 0300 0300 700 or email schools@postalmuseum.org to check availability. You will need to know your group numbers and pay by card. We cannot reserve tickets. Is Mail Rail suitable for everyone? Mail Rail was built to carry mail not people. The ride contains conditions that may be unsuitable for people with physical or mobility issues, small children, claustrophobia, or a pre-existing condition that could be made worse by loud noises, flashing lights or confined spaces. Read more about Mail Rail ride and access restrictions. Do I have to ride Mail Rail with my child? Children under 12 must be accompanied by an adult over the age of 18. Will we get a guided tour? Home Ed Days are self-guided. On arrival our Visitor Hosts will give you a wrist band, a map and a Postal Pass. Wrist bands provide access to the museum and the Postal Pass lists activity times to plan your day. We suggest families arrive at 10.30 to make the most of the day. At the latest, arrive in The Postal Museum Welcome Space at least 15 minutes before your Mail Rail ride to collect your wrist band. Where can we eat packed lunches? Packed lunches and snacks can be eaten in our Lunch Room or The Courtyard. Snacks may be consumed in the seating area of Sorted! Eating is not permitted during activities in Learning Space A, in the galleries or Mail Rail. Where can we leave buggies and belongings? Limited buggy parking is available at Mail Rail on the ground floor. Lockers are available in The Postal Museum and Mail Rail operated by £1 coin. Families can also use bag and coat cupboards next to the Lunch Room. These are shared storage accessed by a key code. Items are left at owner’s risk. Where can I breastfeed my child? Breastfeeding and bottle feeding are welcome anywhere. For more privacy, our First Aid room in Mail Rail is available, if not in use. Our Visitor Hosts will help you. My child has additional learning needs - what facilities are available? Ear defenders are available and can be borrowed from the Welcome desks in The Postal Museum and Mail Rail. If you require a quiet space our Visitor Hosts will be happy to provide access to our First Aid Room in Mail Rail. Just ask at the Welcome Desk. Conduct and behaviour: You are responsible for the conduct of your children at all times. Severely disruptive behaviour may lead to your family being asked to leave The Postal Museum. Supervision: Children are the responsibility of accompanying adults at all times. Children should not be left unattended in activities or to wander the museum alone. If you wish to book Sorted! and are bringing older children they will need to be supervised elsewhere in the museum during the session. Lateness: Plan your journey to arrive in The Postal Museum Welcome Space at least 15 minutes before your Mail Rail ride time. If you are running late an alternative Mail Rail time or Sorted! slot will only be offered if there is available space. We cannot refund your tickets. Museum cancellations: If we need to cancel activities due to unforeseen circumstances we will contact you asap to offer alternative dates. If you are unable to take up suggested alternatives we will offer a full refund.